New Delhi: India will need to take new policy initiatives to revive slowing growth and control inflation as fiscal and monetary options are increasingly limited, the finance minister said. “Options for fiscal steps as well as monetary measures are increasingly limited," Pranab Mukherjee told an industry event. “However, there is potential for policymaking in other areas." Sharp increases in interest rates were hurting growth and India needed practical solutions to address its economic slowdown, such as building political consensus to open up sectors to foreign investment, he said. Earlier this month New Delhi was forced to suspend plans to open its $450 billion supermarket sector to foreign firms such as Wal-Mart Stores Inc, backtracking from one of the government’s boldest reforms in years in the face of a huge political backlash. After raising interest rates by 375 basis points over 13 moves since early 2010, the central bank is expected to pause at its scheduled policy review on Friday after industrial output in October slumped for the first time in more than two years. 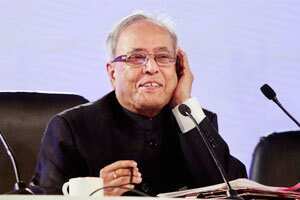 “Slowdown in industrial growth is of particular concern and its impact on employment," Mukherjee said. “There are also immediate concerns relating to fiscal deficit and the current account deficit." The rupee slumped to a record low of 54.30 to the dollar on Thursday, as investors grew increasingly bearish about the outlook for both the domestic and global economies, raising the prospect of further capital outflows from emerging markets. The sliding currency, which has tumbled nearly a fifth from its July high, has added to the headaches of an already beleaguered government and has complicated monetary policymaking for the central bank. Headline inflation, which stood at 9.11% in November, is “unacceptable", the finance minister said. The central bank has projected inflation to ease to 7% by the end of March.